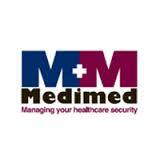 With a medical aid scheme such as the Medimed medical scheme, a member buys “benefits”. These require the medical scheme to pay for the medical costs of the member according to specified terms. There are more than 100 medical schemes in South Africa including closed and open medical aids. Well known medical aids include the Discovery medical aid from Discovery Health, Bonitas medical scheme and GEMS medical aid. There are also various types of medical aid cover provided by medical aids such as Medimed medical scheme and GEMS medical scheme, including the more expensive comprehensive medical aid plans which cover day-to-day medical expenses such as GP and dental visits, medicine required on an ongoing basis for chronic conditions and hospitalisation and associated treatment and medication. The more affordable Hospital Plan covers medical costs only if you land in hospital. It is more suitable for young and healthy people. Gap Cover covers the outstanding amount between the billed amount and what your medical aid pays the hospital. That is because private hospitals may charge more than what a medical aid covers. When choosing a medical aid, compare medical aids. 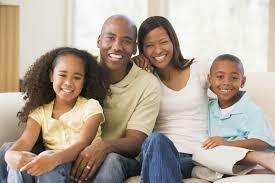 Try to find one that suits your lifestyle, family needs and financial situation. Medimed medical scheme is based in the Eastern Cape and has its origins in large employers who previously ran their own risk pools. The scheme offers four plans options: Medimed Alpha, Medisave Max, Medisave Standard and Medisave Essential. Alpha is the most cost effective option Medimed medical scheme offers, as the contributions are very low. Alpha covers complete bills for hospitalization and around 75 percent of the Medimed medical scheme tariff rates for non-admission medical cover. There is typically cover for dental, auxiliary costs and acute medication requirements up to 60 percent of the Medimed medical scheme tariff. Medisave Standard from Medimed medical scheme is a savings plan and the benefits are income category based.Features of the Medisave Standard are coverage of appropriate costs incurred by the patient while inside the hospital and coverage of chronic conditions within an annual limit. Medisave Max from Medimed medical scheme is structured in the same way as the Standard option concept, except that it has a higher chronic medication benefit and higher savings.Medisave Max offers the most comprehensive package of the Medimed medical scheme options for medical treatment, including unlimited coverage in various private hospitals and medical centers. The chronic medication coverage covers an extensive list of prescribed minimum benefits. Medimed medical scheme also offer the Medisave Essential. This option is only available to members in the Nelson Mandela Metropole. Find out more about Medimed here. Cheap does not mean the best medical aid cover as seeking out a medical aid with low premiums may be at the expense of the medical cover provided. You may spend less each month but dramatically more during sickness or hospitalisation. – expenses that can be crippling. Don’t go for the cheapest medical aid but rather opt for the most cost-effective as provided Medimed medical scheme. Choose one that offers the right benefits and hospitalisation cover at a price you can afford. Remember if you are a healthy person, hospital plans may be right for you and your tight budgets. You will have to pay your own day-to-day medical expenses, but these plans usually offer sufficient hospital cover. Without such hospital cover, the costs of major procedures and hospitalisation can spiral out of control.